September 19, 2108: I would lie to first thank all our sponsors for this fair. Your partnership will go a long way in the area. It will help us keep gate prices down while providing new and exciting events during the fair.Again I and the Fair Committee appreciate you stepping up to help. Updates–Deadlines are coming up!! Please, Please, Please register online. . .It is absolutely painless. If you have problems, call me between the hours of 10 am and 10 pm. My brain shuts off at 10:01 pm (unless a Brave’s game is on!) and my body doesn’t cooperate until 10 am. (912.682.7824). Thanks to those of you already registered in Home arts and Crafts, Fine Art, Produce, Canning and Baking. Your cards and labels are already printed. Some of you have created invoices on FairEntry with no entries. If you were just testing the system, that’s fine. Just remember that to enter your items, you will have to create another invoice. If you enter items and your invoice has been approved and you forgot something, no prob bob, just create another invoice using the same name as before. We announced the new Lego Contest–we still have a few spaces left. Sign Up Before Spaces are All Gone!! 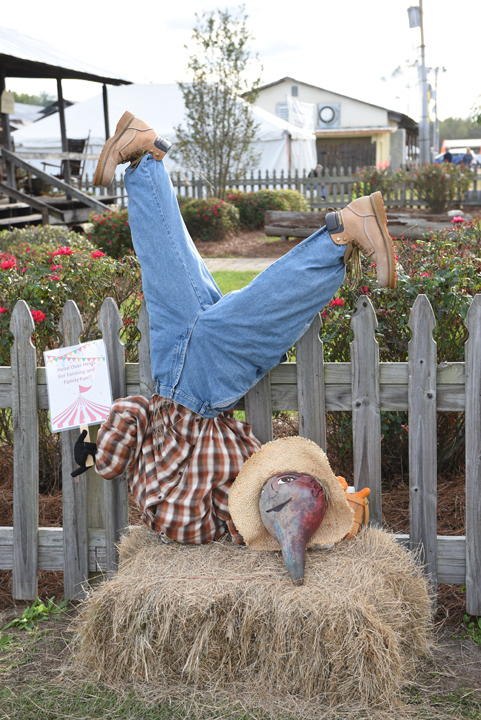 FFA and 4H–I haven’t seen entries for scarecrows–I am sending out the challenge now. the ones entered last year were great. The public really enjoyed your creativity. Just remember to have you club name somewhere-that cost one team prize money last year. We didn’t know who to give the money to. the Fair, DragonCon, Fair, cleaning house, Fair and pickles I’ve been a little busy. Did I mention Fair? News!! 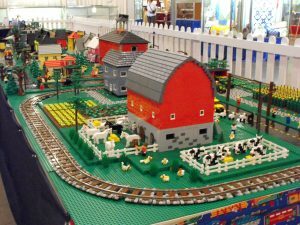 We are adding a LEGO Competition!! this year it will be open to 4 year olds to 13 year olds. This is a live action folks-legos going every which way, teams working up a sweat to complete an original Lego whatever in an hour. It just doesn’t get any better than this, except maybe a hog show. More action than one person can handle. Pass the word. Visit the Lego page for more information. August 7th, 2018: There are 68 days until the Parade and Ribbon Cutting. The Kiwanis Club has been working all year on the upkeep of the grounds. The buildings are getting a face lift with new paint. Some of the buildings have new roofs. More lighting in the parking lot. We are always trying to improve our Fairgrounds. 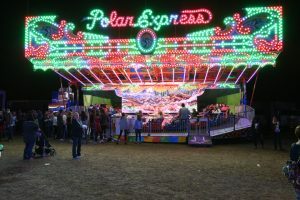 It’s time for you to start thinking about what you are going to enter in the fair. I encourage you to visit the pages (Fine Art, Produce, Livestock, etc) and read the rules and instructions carefully. When you enter, say, Home Arts & Crafts you enter online. When you click FairEntry, your computer will direct you to the FairEntry page. Please read instructions and watch the short video. Once you do that, click the big red FairEntry at the bottom of the page. If you have any problems, give me a call. August 6th, 2018: Hello everyone. . .I’m deb. Yea that’s the way I sign my name. It is actually Debra, but that sounds a little formal. This page is a little information, a little tongue in cheek, a little everything else. No politics, no religion just Fair stuff. That other makes people crazy sometimes. Guinesses World Book of Records as the Largest Traveling Amusement Park. Their home office is in Monroe Township of New Jersey. Now before you go and correct me let me state that we see approximately 1/5 of AoA. The five brothers that made up AoA each had a carnival. At some Fairs they combined more than one carnival. Some of the brothers have passed away and their carnival has been handed down to the sons. Our Carnival is still run by Dominic Vivona, Sr. who I might add is a really good person. this summer, but good ol” lets dum out the box and build something. . .what do you all think?